My sister & I took some time to go to the beach this morning/afternoon. 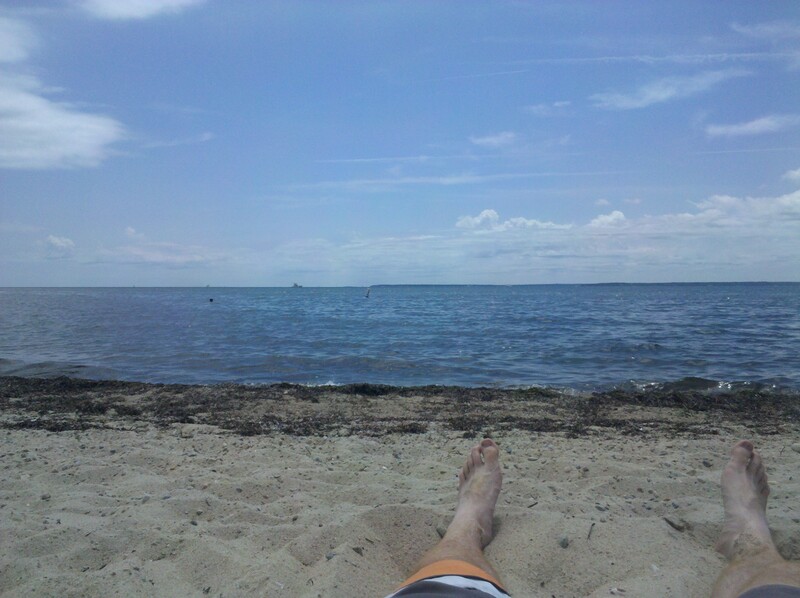 This was my view while laying on a towel overlooking the water toward Martha’s Vineyard, watching boats go by. Very pleasant.